THANKS to the support of his deep-pocketed partners, Texas-based televangelist Kenneth Copeland, of Kenneth Copeland Ministries has acquired a new multimillion dollar Gulfstream V jet that he says will help him do the Lord’s work and help him avoid having to contend with “demons” that travel on commercial airlines. Copeland’s ministry announced the acquisition of the “debt free” jet, which hit the market with a $36 million price tag in 1998 on January 12, 2018. The ultra-long-range business jet can accommodate up to four crew members and 14 passengers in an executive configuration, according to Gulfstream. It is unclear how much Copeland’s ministry paid for the jet but AV Buyer says they currently have the lowest priced Gulfstream V on the market priced at just under $6 million. “And you will not come short. And you will not fail. And you will not lack. And you will not come behind and you will not be diminished. Praise God,” he said of his donors, Christian Post reported. On the December 29, 2015, television broadcast of “Believers Voice of Victory,” hosted by Copeland and Jesse Duplantis, the ministers explained that private jets were important to their business to help them, among other things, pray in privacy as the Lord leads and avoid unnecessary demons. “We’ve got to have this! The mess that the airlines are in today; I would have to stop – I’m being very conservative – at least, 75-80, more like 90 per cent of what we are doing. Because we can’t get there! That’s why we are on that airplane. We can talk to God!” Copeland said. 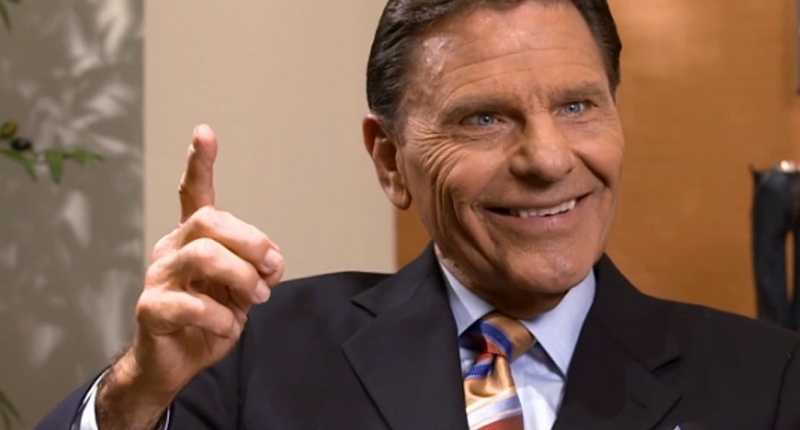 According to Charlie Bollinger, Kenneth Copeland Ministries’ partner and volunteer, “the Holy Spirit confirmed to Brother Copeland that the Gulfstream V was the plane the Lord had set aside for KCM.” The ministry identified the seller of the jet as filmmaker Tyler Perry. The jet was purchased and “paid in full” during Thanksgiving week. While the newly acquired Gulfstream V jet “is in outstanding condition and is an exceptional value,” Bollinger said it will need $2.5 million in upgrades to meet new FAA standards. He further noted that an additional $17 million was necessary to help maintain the new aircraft and urged donors to prepare to give that amount as well.